After your fairytale wedding, there is nothing like a romantic honeymoon destination to carry on in your newlywed bliss. With so many destinations all over the world to select for a honeymoon, why choose New England? The region’s historic charm, stunning natural beauty, and romantic ambiance have attracted couples from all over the world for many years! 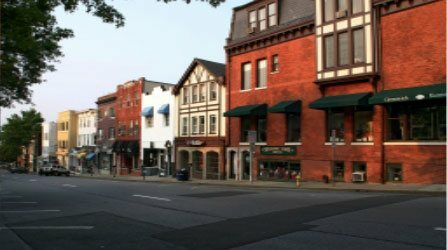 If you’re in search of a peaceful and relaxing place to enjoy your post-wedding getaway, the historic town of Greenwich is your perfect choice. With an ideal location in beautiful New England and a short train ride away from bustling New York City, Greenwich is the ideal destination for the perfect Connecticut honeymoon. Be sure to download our free Greenwich Vacation Guide for our best local dining, activity, and shopping recommendations! Your special someone will thank you. No matter what time of year you visit, there is always something fun and romantic to do in Greenwich. Whether it’s exploring historic sites, lounging on the beach, or dining in a local restaurant, your honeymoon itinerary will be filled with fun and romantic activities. Here are just some of the most popular things that our guests love to do during their Greenwich honeymoon! Travel back in time and catch a glimpse of what life in Greenwich was like hundreds of years ago. Some of the area’s historic sites have even played a significant role in American history! Whether you and your new spouse are history buffs or just looking for something fun to add to your getaway, you won’t want to leave these locations off your list. Putnam Cottage: The tavern in which Revolutionary War General, Israel Putnam, began his ride to evade the British. The Glass House: Philip Johnson’s home completed with glass walls. This was the house that ushered the International Style into American architecture. Washington Irving’s Sunnyside: This romantic riverside home was the residence of America’s first internationally famous author, Washington Irving. Your tour of the home and grounds will give you an exclusive look at day-to-day life during the 1800’s. Many couples daydream about their perfect home, and Greenwich is the place to dream big! The local real estate is some of the biggest and best in New England. The mansions you’ll find along the back roads of town are absolutely stunning! Take a leisurely stroll or a bike trip along scenic roads to take in the sights of some of the region’s most beautiful homes. We guarantee that you’ll gain plenty of inspiration! This is by far one of the most romantic day trips in CT! Greenwich Boat Charters offers tours of the New York City harbor, Greenwich mansions, or transportation to and from waterfront restaurants. For a more private experience, we highly recommend the dinner and cocktail cruises or the sunset cruise. Our beautiful and historic inn has been a prime destination for many honeymooners, and we’re sure you’ll agree. 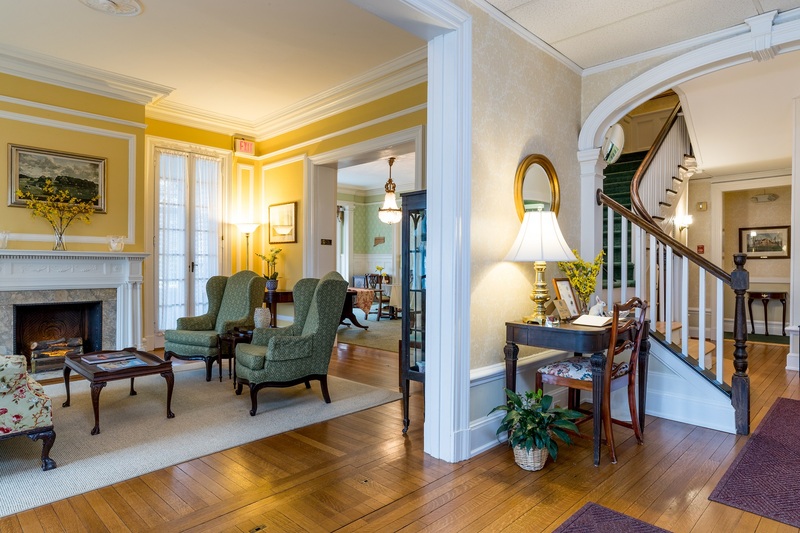 Unlike other romantic hotels in CT, our elegant inn surrounds our guests in over 100 years of history while providing modern-day amenities they desire. 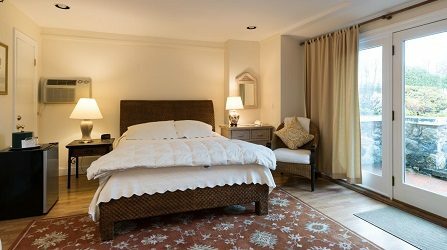 Our gorgeous accommodations are perfect for relaxing after a full day of Greenwich adventures. 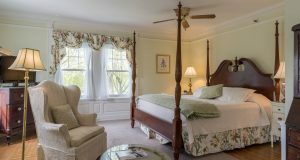 We highly recommend booking one of our gorgeous and romantic Connecticut honeymoon suites for a truly unique and extremely romantic getaway! Our couples also enjoy extra perks such as a seasonal outdoor pool, lovely gardens, exquisite common rooms, and a complimentary continental breakfast prepared fresh daily. 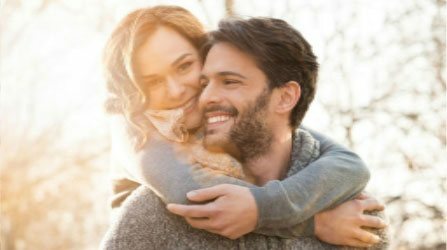 Book your honeymoon at the Stanton House Inn today and don’t forget to take advantage of our exclusive Romance Package!